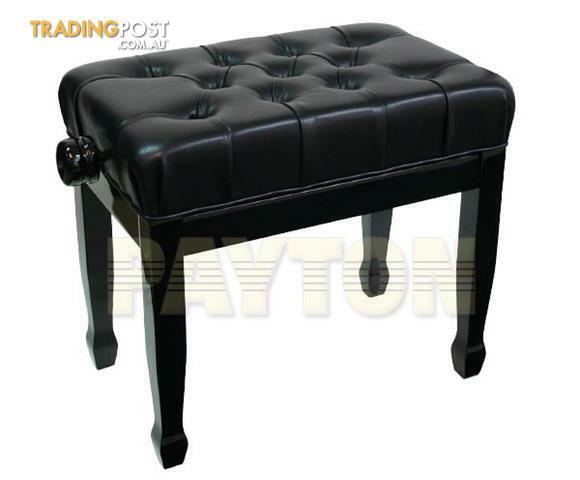 Piano Bench - Height can be easily adjusted from either side of the seat. Figured leg. Black gloss with black buttoned padded leatherette seat with padded edge. Sturdy design, easy to assemble, removeable legs and dual control height adjustment.